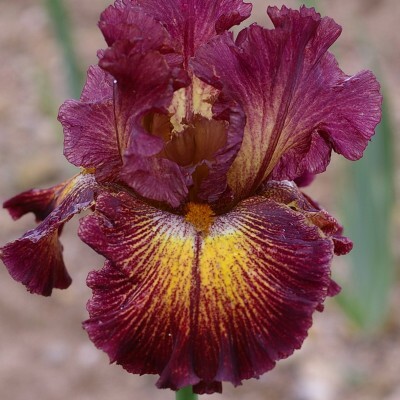 Plum red standards touched with apricot at the centre, aubergine falls which are yellow at the centre and streaked plum red. Pumpkin coloured beards set against a small white background. Nicely shaped flowers edged with gentle ruffles. Moderate growth and multiplication. 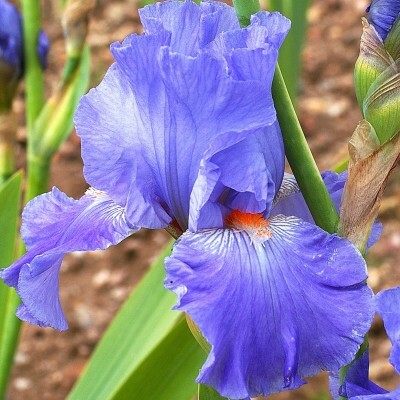 A well balanced specimen which will brighten up your garden. Slightly roasted, copper-honeyed tone with orange beards. Excellent branching like its predecessor 'Coup de Soleil'. 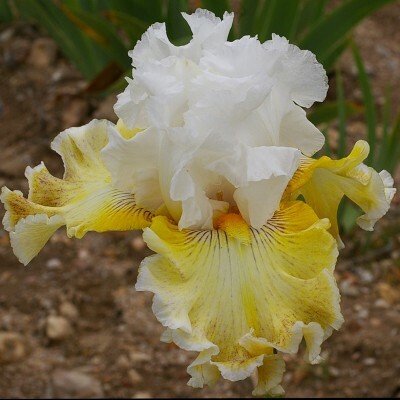 It features an average of 10 buds, with moderately sized flowers resulting in a harmonious balance. 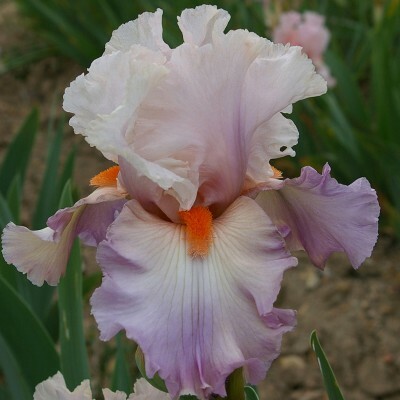 Light lilac pink standards and pink-lavender falls gracefully ruffled. 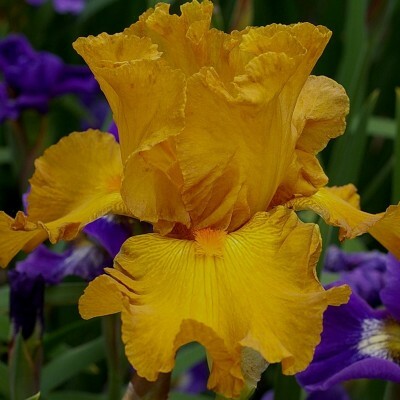 The prominent red-orange beards brighten up the pastel tones of this recent variety.